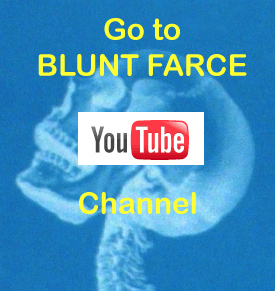 Keep it weird & support our efforts with Blunt Farce Merch! Safe & seamless transactions because you’re buying from AMAZON. All designs available in multiple colors & all sizes. Still reading? Thanks. Just letting you know that we are starting with T-shirt prices on the low side, so early-adopters will be getting a discount. Future bandwagon jumpers will pay a bit more for being late to the party.